Many economists have questioned why, in the main, their discipline neglected to foresee the global economic crisis of 2008. This failure of foresight extended, even in our era of hyper-globalisation, to some national governments who incorrectly anticipated that the reverberations would not reach their shores. With the Finnish having enjoyed sound economic growth for a number of decades, the assertion from their ruling party at the time, was: ‘The economic crises will not hit Finland’ – Government of PM Vanhanen, 2008. Almost ten years on, with Finland suffering lower growth and increasing long-term unemployment, this was a misguided prediction of resilience. The financial crisis left few nations unscathed. As exclaimed later firstly by Bank Manager, Björn Wahlroos in 2013, and then to underline the point by the Minister for Foreign Trade, Alexander Stubb 2014 ”Steve Jobs took our jobs. iPhone beat Nokia and iPad did the same to our wood-processing industry!” Finland discovered that the ‘World in Transition’ (and its associated issues) is truly global. Like many countries, Finland is now facing ‘grand challenges’ that need fresh thinking and approaches. 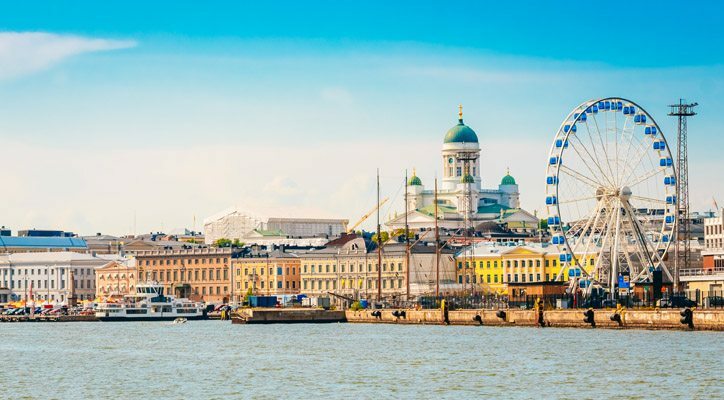 In partial answer to this, TEKES, the primary funding agency for Finnish technology and innovation, took steps in becoming the final member of the 2016-17 pilot phase of Transformative Innovation Policy Consortium (TIPC). Part of the Ministry of Employment and Economy, TEKES is Finland’s most important public funding agency for research. During the TIPC inception overview, TEKES policymakers and advisers outlined how, and herein lies the paradox, there is scope for recovery identifying many structural strengths, for example, in health, education and training sectors; in financial market development; and in prerequisites for innovation. These were identified as positives by the World Economic Forum. All things considered, Finland should maybe be experiencing greater progress. Amongst the mix, how then to use Transformative Innovation Policy (TIP) to transition towards fairer, stronger, sustained growth? TIP policies, and how to incorporate them into a ‘policy blend’ along with dominate Frame 1 and 2 thinking, is at the heart of the Consortium long-term aims. Members are interested in the form this may take. Experimentation and co-production of knowledge is vital. For the next stage of the project, Finland anticipates looking at mobility and ‘smart city’ transport. With a ‘Transformative Innovation Learning History’ methodology being used for this phase’s case study examination, this will help inform foresight and facilitate ‘double-loop learning’ so experience can illuminate outcomes. In other words, foresight on the direction of travel for the economy and society. Something, in retrospect, economists and politicians would have wished for in 2008. TIPC membership supports learning the lessons from a very recent past to help guide, mould and change long-term futures. “I think it is important to have true dialogue between different stakeholders, policymakers, agencies, researchers and ministerial viewpoints for productive progress. The TIPC work is relevant to all agencies who fund and we should make good, concrete use of it.